William Russell Case was the father of Case's founder, the company namesake and first company president. 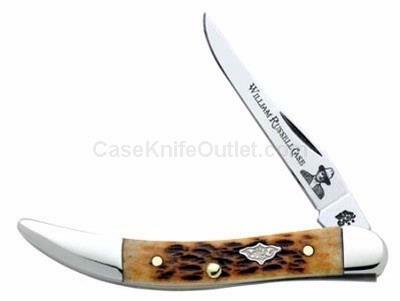 On the 160th anniversary of his birth, Case honors William Russell Case with this new family of knives featuring the WRC coat of arms shield, master blade tech print with his image and William Russell Case name. Exclusive W.R.CASE tang stamp. As with all natural material color may vary. Made in the USA.